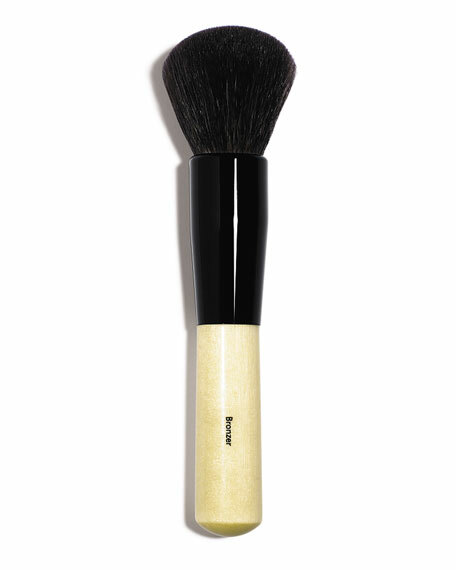 Sweep the Bronzer Brush over Bronzing Powder and lightly tap off excess. 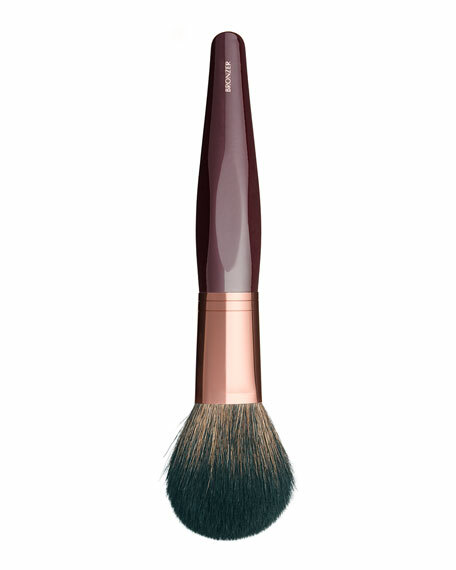 Dust over cheeks followed by the nose and chin and forehead. 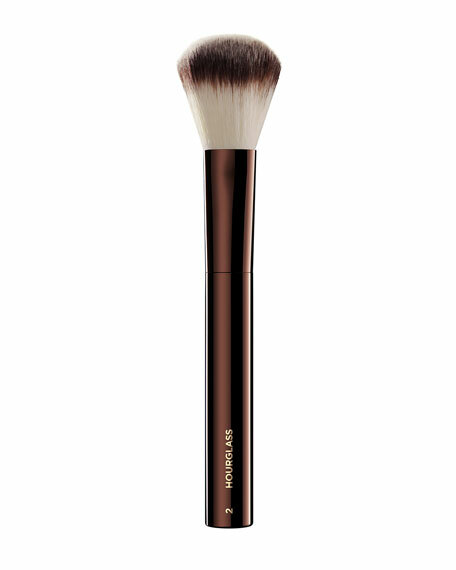 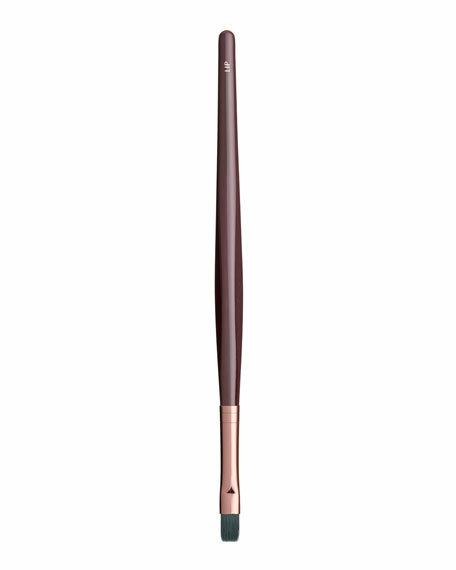 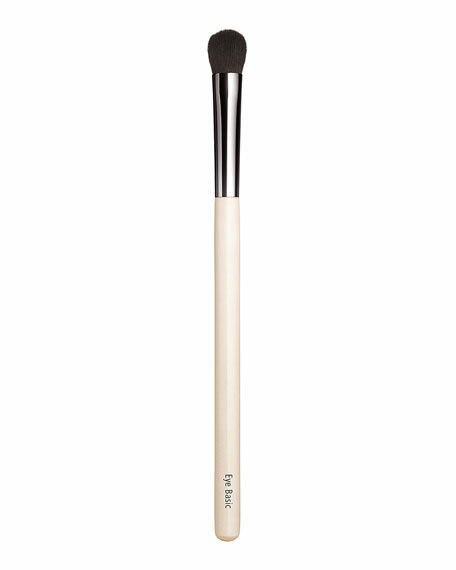 Brush bronzer on to the neck then blend color by lightly brushing downwards.